James Callister is a transactional real estate attorney and a partner of Sherry Meyerhoff Hanson & Crance LLP. He joined the firm in 2008 and his broad-based real estate experience includes representing and advising clients in a diverse array of sophisticated and complex real estate transactions. James has represented a wide array of real estate industry clients, including real estate investment trusts (REITs), developers, homebuilders, institutional lenders and investors, public and private companies, pension funds, landlords and tenants, and other corporate entities, as well as hotel and resort operators and owners. His experience includes the negotiation and documentation of a variety of real estate and commercial lending transactions, including acquisitions and dispositions, project financings, construction loans, credit facilities, commercial leasing, and joint venture arrangements. James has in-depth experience, both locally and nationally, representing REITs and other owners of assisted living, skilled nursing, memory care, and other healthcare-related facilities (including medical office buildings) in connection with both single facility and multi-facility, multi-state transactions including acquisitions, development and project financing, loan assumptions (including Fannie Mae and Freddie Mac), sale-leaseback transactions, triple-net leases (both single facility and portfolio master leases), and management agreements, as well as ongoing asset and portfolio management matters. 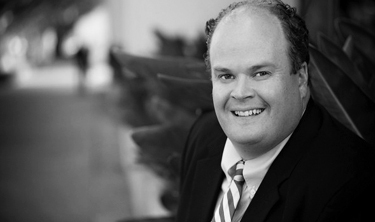 Prior to joining the firm, James was Counsel in the Newport Beach office of O’Melveny & Myers LLP and also previously worked as Assistant General Counsel of Shea Properties. Represented a publicly traded healthcare REIT in the acquisition of 18 assisted living facilities for approximately $101,000,000, including the assumption of approximately $75,000,000 in existing Fannie Mae debt. Represented a joint venture between a large regional homebuilder and an institutional hedge fund in connection with an approximately $45,000,000 revolving credit facility to finance the construction and development of 14 residential subdivisions. Represented institutional medical office building landlord in the approximately $43,000,000 ground leasehold acquisition and subsequent leaseback of a portfolio of 7 medical office buildings. Ongoing representation of a privately-held hospitality development company in connection with its acquisition, construction and financing of hotel and resort projects. Represented Sabra Health Care REIT, Inc. in connection with its acquisition and leaseback of a portfolio of skilled nursing facilities from affiliates of Cadia Healthcare for approximately $97,500,000. Represented institutional investor in its financing (through real estate secured loans) of billions of dollars of multifamily apartment complexes over a six month period, including Fannie Mae and Freddie Mac debt.